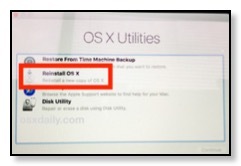 5	The Recovery drive will now download “additional components” necessary to reinstall OS X on the target volume, let this process complete and the Mac will automatically reboot itself when done. 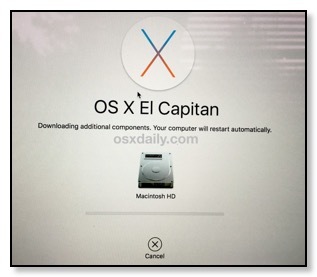 If you get an error message about being unable to reinstall OS X because the Mac isn’t connected to the internet, you need to join a wi-fi network or connect via ethernet. 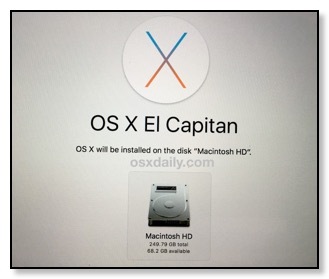 The installer must download from Apple for this to work.